Thailand Dive sites. How, where and when to dive Thailand. Thailand is a hugely popular tourist destination for divers and non divers alike. The country boasts many sites of remarkable natural beauty from the northern mountain areas like Chiang Mai and Chiang Rai, to the limestone islands in the south like Tarutao and Phi Phi. But let’s focus here on the diving in Thailand and the wonderful dive sites around the country. Divers have been choosing to come and dive Thailand for over 15 years now because it has some of the clearest, coral filled waters in Asia, the water is warm year round and the marine life is prolific. Add to that a well developed infrastructure and the renowned friendliness of the Thai people. Thailand Diving can be done by day trip dive boat or by liveaboard safari. Technical diving is growing in the region and although still not as established as in other Asian countries like the Philippines, more and more wrecks and cave systems are being found by exploratory divers. Nitrox is available in most places and most brands of equipment can be bought, rented and serviced in Thailand. Diving is still very cheap here compared to other places in the world although as world oil prices increase so do the diving prices. The Andaman Sea side of Thailand offers the best diving. That’s basically all the way down the west coast of Thailand from the border with Burma to the border with Malaysia. That area includes Koh Phuket, Koh Phi Phi, Krabi, Koh Lanta, Koh Taratuo, the Similan Islands, Surin Islands, Richelieu Rock, Koh Bon and Koh Tachai. The best time to dive this area is during the north east monsoon from November to April although many areas can be dived year round. 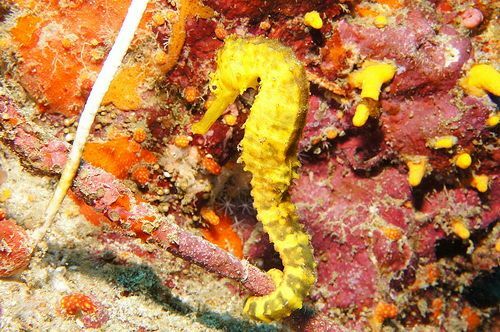 The gulf of Thailand also has many dive sites and some of them are excellent, most notably Chumphon Pinnacle. Other dive areas include Pattaya, Koh Chang, Chumphon, Koh Samui, Koh Phang Ngan and Koh Tao. Don’t let anyone tell you that these dive sites are as good as the Andaman Sea because they just aren’t. However they do have their plus points. Pattaya has some good wreck dive sites and offers good dives for technical divers. Koh Tao has very cheap diving and very cheap certification courses for those who don’t mind diving in big groups. 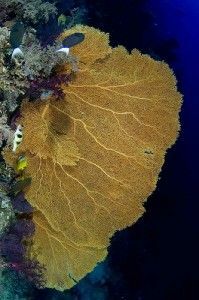 Thailand DivingThe very best dive area in all of Thailand is the Similan Islands in the Andaman Sea. The best way to dive the Similans is by liveaboard dive boat departing from either Khao Lak or Phuket. Longer trips also include Richelieu Rock (best for Whale sharks) Koh Bon and Koh Tachai (best for Manta Rays). Manta Rays are also seen at Hin Daeng and Hin Muang as well as Racha Noi. Whale sharks are also seen at Chumphon Pinnacle and occasionally at Phi Phi. Hot and Sunny Tropical climate. Usually humid but can be cooler in the mountain areas. February to May are usually the hottest months. October is usually the wettest month. Average of 27°C year round though can go up to 29°C and occasionally drops to 24°C. Much of Thailand can be dived all year round. The best diving in the Andaman Sea is between November and April. The Similan and Surin Island national marine parks officially close for the May to October rainy season when waves can make getting there a problem. The best time to see Whale sharks at Richelieu Rock is February-April although they are spotted throughout the high season. A 3mm shorty wetsuit is sufficient and many divers choose to dive with no wetsuit at all. Varies by location. The Similan Islands has the best visibility, in excess of 40m. The Andaman Sea side of Thailand has better visibility than the gulf of Thailand. Many of the dive sites in the Andaman sea are granite islands which all have superb water clarity with very little suspended matter in the water. The limestone islands such as Phi Phi can have exceptional visibility on some days and rather poor visibility on other days. Reefs, wrecks, drop offs, pinnacles, caverns, walls, boulders, drift. Beginner to experienced. There are great dive sites for learning to dive with shallow, warm and current free clear water. These sites are also great for snorkelling. Other dive sites can be deep with strong currents and only suitable for experienced divers. The beaches, trekking the mountains in the north, Elephant treks, Hill tribe visits, Thai cookery classes, exciting nightlife, shopping for handicrafts or designer copies.